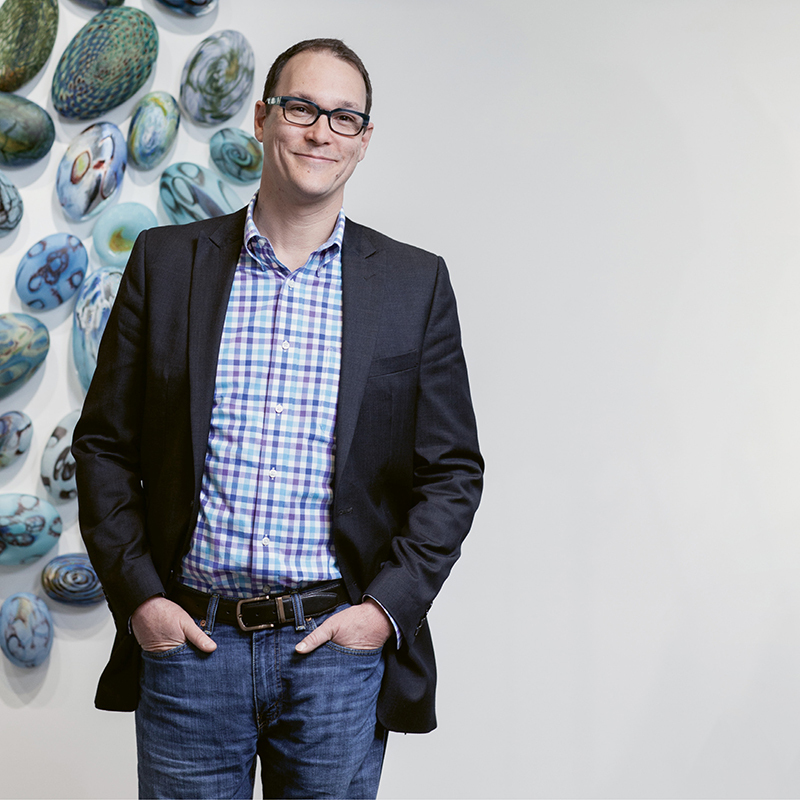 Whereas a museum curator strives to collect and showcase artworks by noteworthy names, a gallery director is in the business of advancing artists’ careers, which is a driving force for Jordan Ahlers, owner and director of Asheville’s year-old Momentum Gallery. His other guiding vision is to “raise the bar and elevate the city and entire region as an arts destination,” he says. “By showcasing the region’s best alongside national artists or taking their work to art fairs in Chicago or Miami, it gives the artists and region more exposure.” Given that Ahlers will soon operate the largest gallery in the state and is already showing major names like glass kingpins Dale Chihuly and Therman Statom, he’s poised to achieve that goal. Ahlers’ success is born of considerable experience. His interest in art and museums was nurtured from a young age as he grew up in Atlanta and Florida. He studied printmaking and painting at Kansas City Art Institute but eventually found the curating side more fulfilling. The year following his permanent move to Asheville in 1998, he took a position at Blue Spiral 1 craft gallery, where he spent 18 years working with thousands of professional artists while learning every aspect of running a large gallery, including serving as director. The opportunity to open his own business offered the chance to take all that he had learned in a new direction. Momentum Gallery opened last October in a 3,800-square-foot space on bustling Lexington Avenue. Rather than exhibiting functional craft, Ahlers is “focusing more on work that blurs the line between fine art and craft,” he says. The result is a smartly curated presentation of contemporary pieces by well-known regional and national artists.